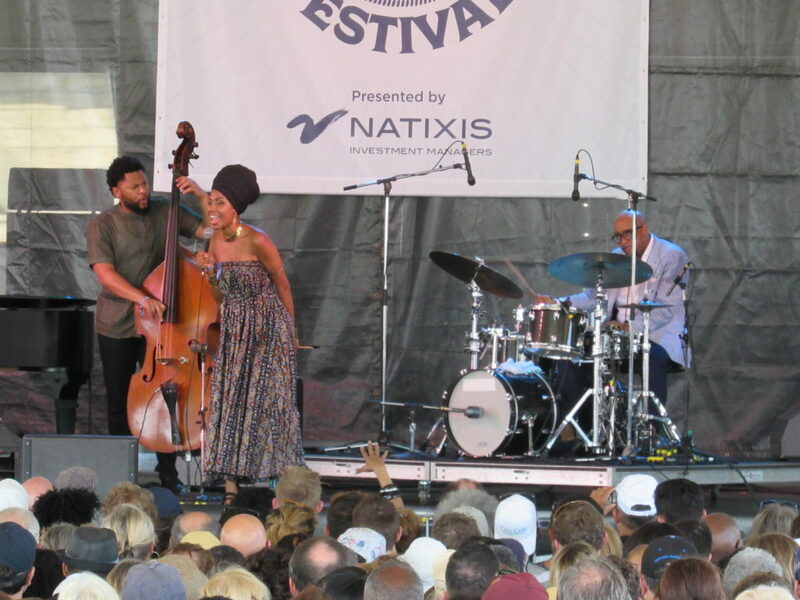 Home FESTIVALS	HIGHLIGHTS OF THE 64th 2018 ANNUAL NEWPORT JAZZ FESTIVAL! 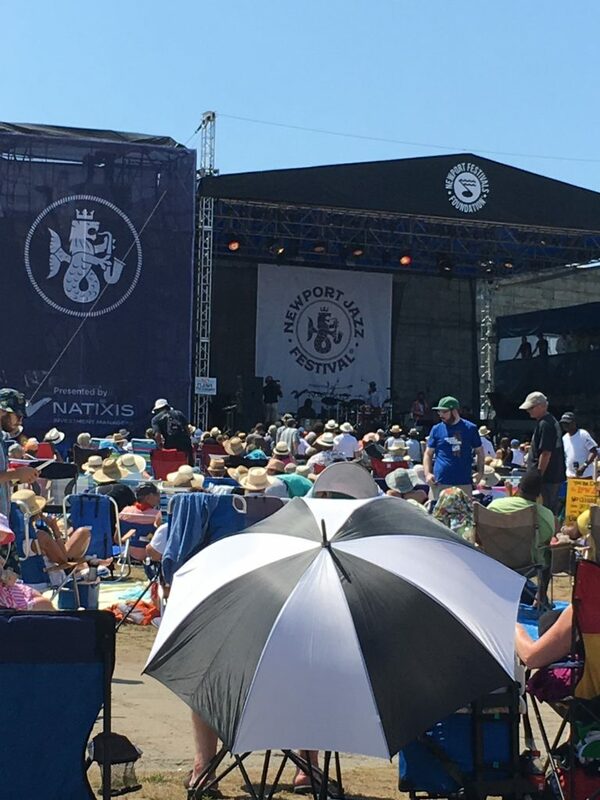 HIGHLIGHTS OF THE 64th 2018 ANNUAL NEWPORT JAZZ FESTIVAL! 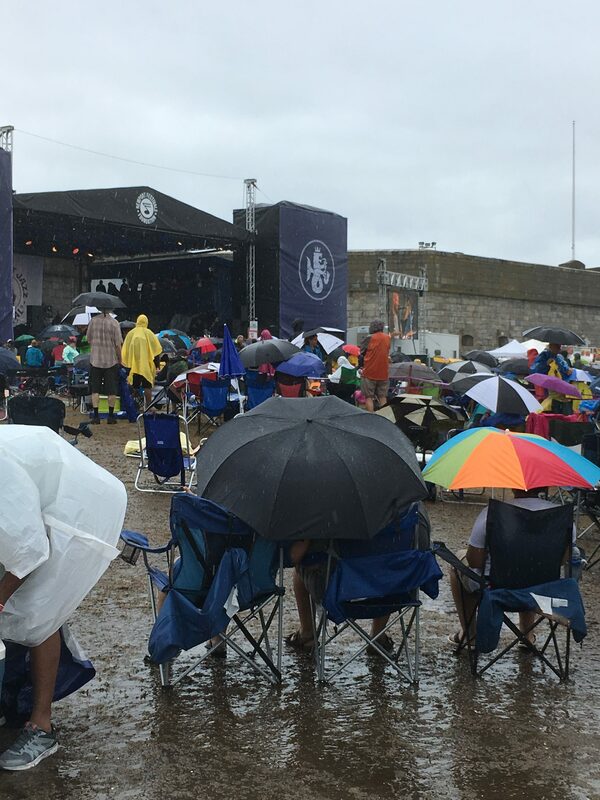 The overcast during Friday and Saturday’s stormy weather at the 2018 Newport Jazz Festival didn’t prevent the thousands of Jazz followers from coming to see and hear their favorite artists perform at the 64th annual festival. 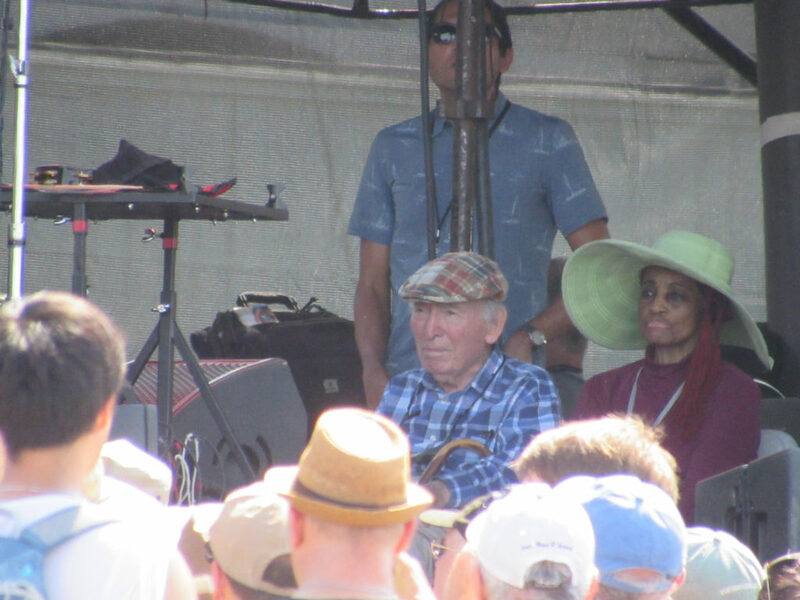 George Wein, the 92-year-old co-founder and former producer of the Newport Jazz Festival is seen driving back and forth throughout the festival grounds in a golf cart and as he whizzes by, you can hear a fan yell “Hey George Thank you” and Mr. Wein waves and smile! Mr. Wein has received numerous honors and awards for his work with Jazz concerts and continues to be part of this musical journey for over 50 years! NEWPORT HARBOR A GREAT VIEW FROM THE FESTIVAL GROUNDS! 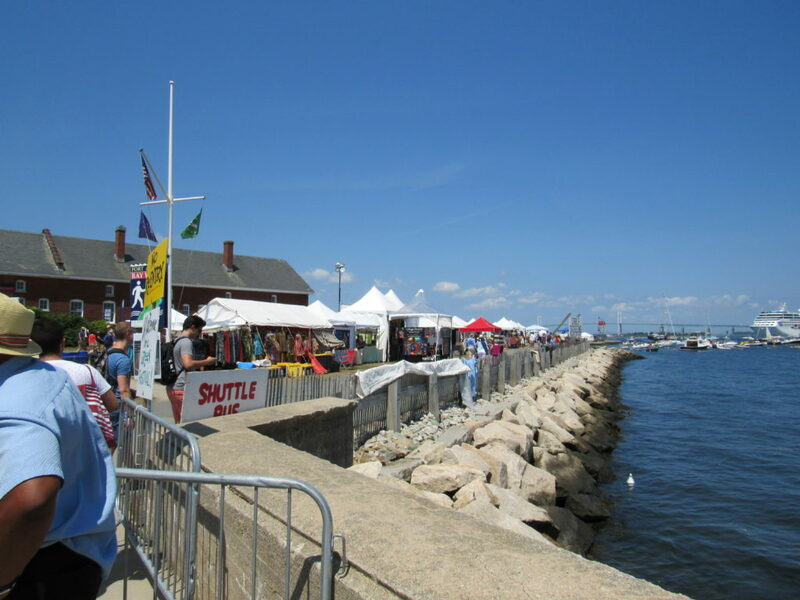 The Newport Jazz Festival sponsored by “Natixis Investment Managers” is located on the grounds of Fort Adams State Park at the base of the Newport Harbor with panoramic views of the Newport Bridge and the East Passage which features three fun full days of world-class Music, Food, Exhibits, and Crafts. 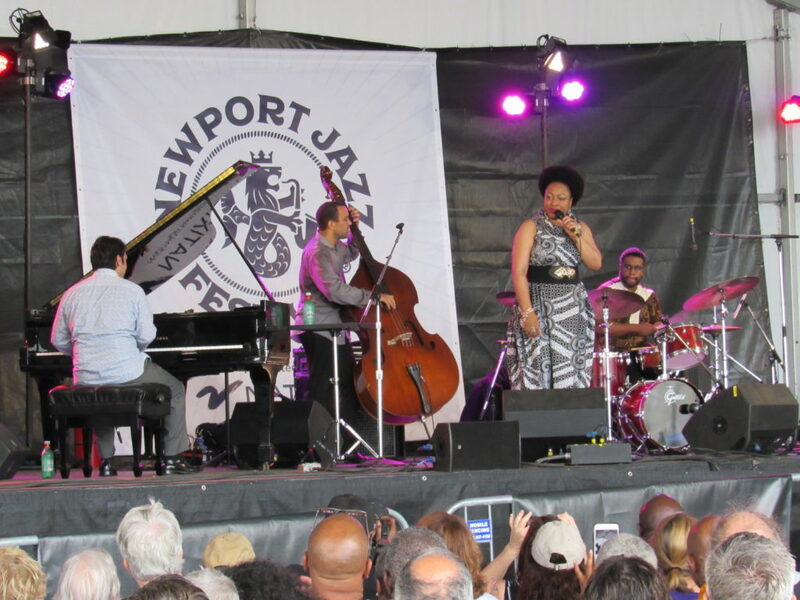 Make your visit to the Newport Jazz Festival a Vacation! 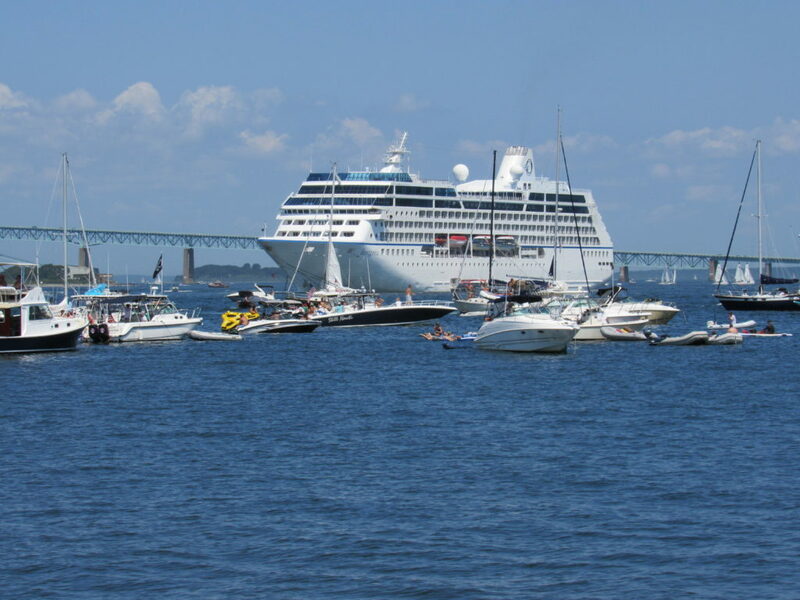 There is so much to see and do in Newport R.I. http://www.cityofnewport.com/visitors/tourism The NPJF is more than just a music festival, it’s a vacation. The amenities provided are endless for the music lover such as charging stations, water fountains, bike depot, food vendors, shade tent, first aid, sunblock stations, breastfeeding tent and plenty of bathrooms. Once you enter the festival grounds and park your car, shuttle buses bring you right to the gates, the security will check your bags and answer any questions you have about your visit. 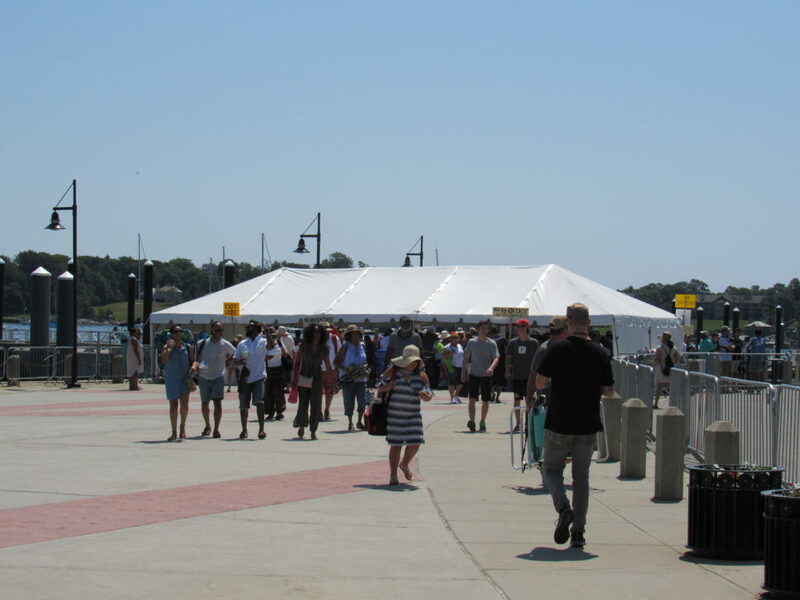 The vibe at the Newport Jazz Festival in Newport R.I is always fantastic, whether you are a Jazz lover or not! It’s so interesting to watch the excitement of fans checking their program schedules just to make sure they don’t miss their favorite artists at one of the four stages, Fort, Quad, Harbor, and Storyville. There’s a plethora of outdoor chairs, umbrella’s, tents and coolers that jazz spectators bring in each year to make their stay comfortable at Ft. Adams State Park. 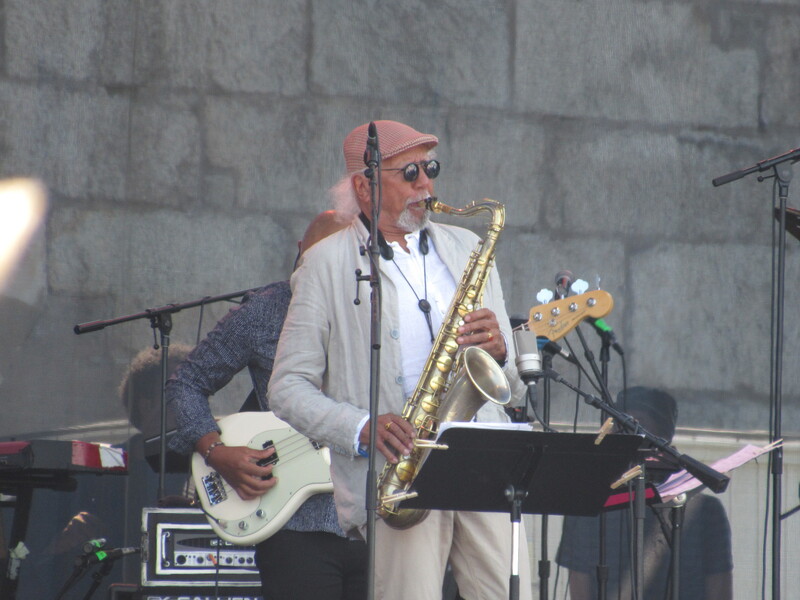 Charles Lloyd @ the Fort Stage –One of my favorite all-time Jazz performers is Charles Lloyd, he is considered to be the “Legend of the Sax and an international treasure.” His performance on the Fort Stage makes you wanna move with him as he plays his sax. Mr. Lloyd was given his first saxophone at age 9 and he perfected his skill through the many years with great musicians like George Coleman, Johnny Ace, Bobby Blue Bland, Howlin’ Wolf and B.B. King. 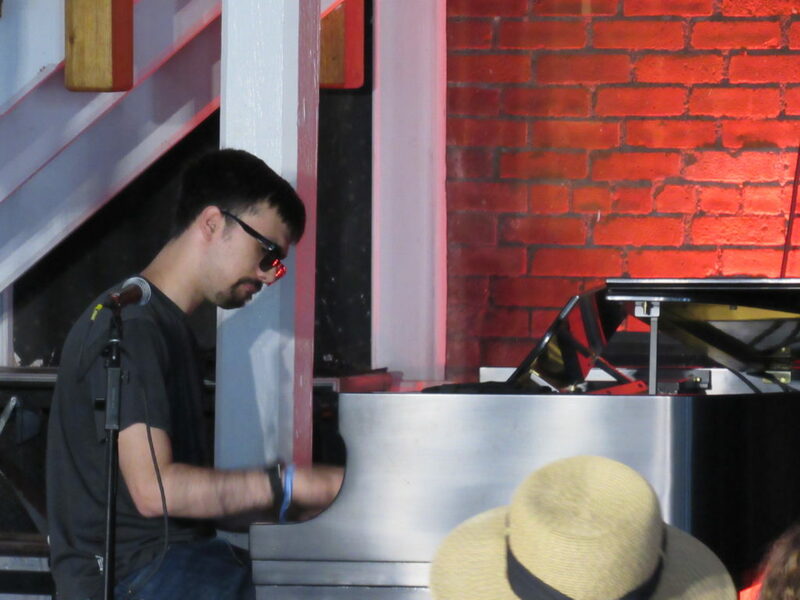 He exhibited his great musical craft at the 2018 Newport Jazz Festival with pianist Jason Moran, drummer Eric Harland, bassist Reuben Rogers guitarists Marvin Sewell and Stuart Mathis. Charles Lloyd is a must see at any Jazz Festival! 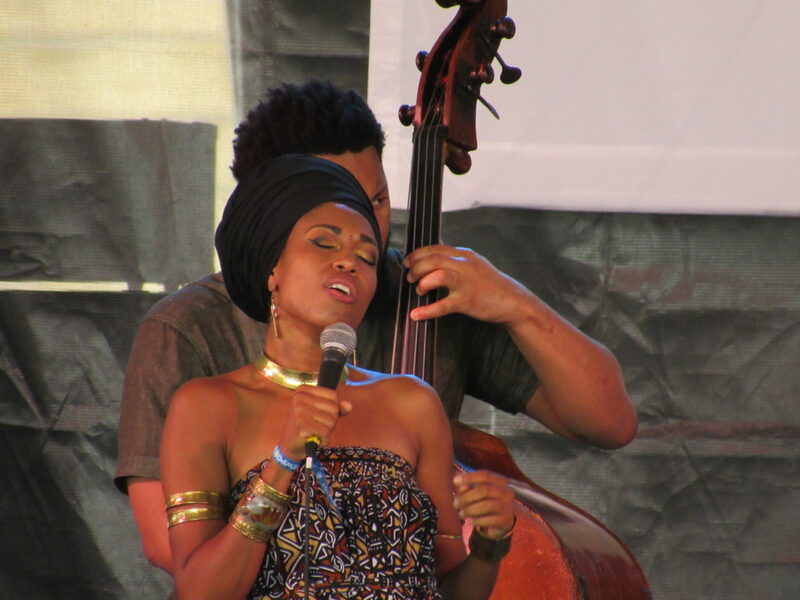 Jazzmeia Horn @ the Quad-A Grammy Nominated Jazz vocalist and a musical newbie, she has often been compared to the likes of Nancy Wilson and Sarah Vaughan. Ms.Horn has blossomed over the last 10 years and continues to grow with every performance she gives. Her rendition of “Willow Weep for Me” was the reprieve of the day and the standing ovation she received from her audience was deafening and well deserved! She is not only a remarkable vocalist but, her stage presence is strong as she interacts with her audience letting them know she will be happy to give out autographs and take pictures after the show but no touching in a joking kind of way. Micah Thomas @ Storyville- When you talk about making a mark in jazz history, Micah Thomas certainly made his at the 64th Annual Newport Jazz festival. 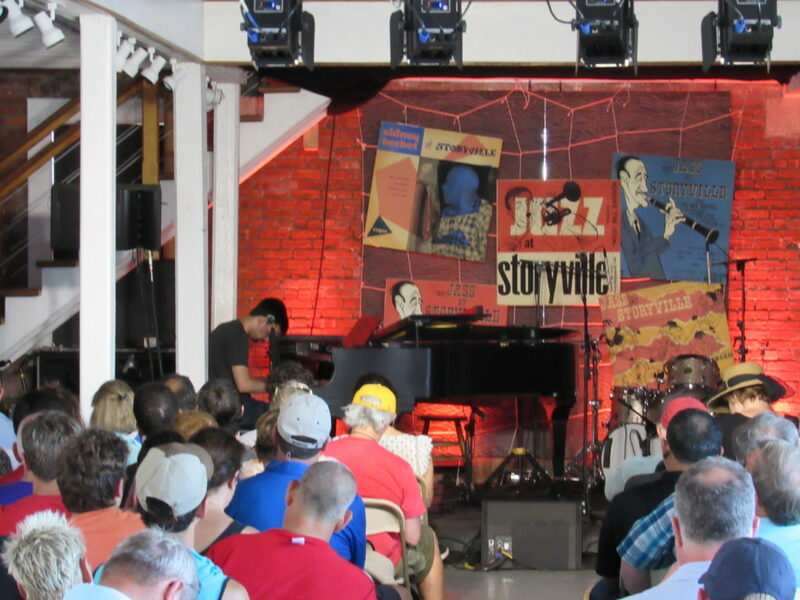 Jazz lovers running into the Storyville stage building to see the young pianist and composer perform two great impressive tunes. One masterful piece by the late French pianist; Michel Petrucciani called “Lookin Up” and a tune called “Concentrating” by Willie -The Lion Smith. His music is so amazing and his work is full of originality, style, and grace. He has played with many prominent musicians including, JD Allen, Billy Contreras, Eddie Bayard, George Delancey, Cedric Easton, and Bobby Floyd. Micah Thomas is definitely on his way to becoming one of the great musicians of the 21st century! 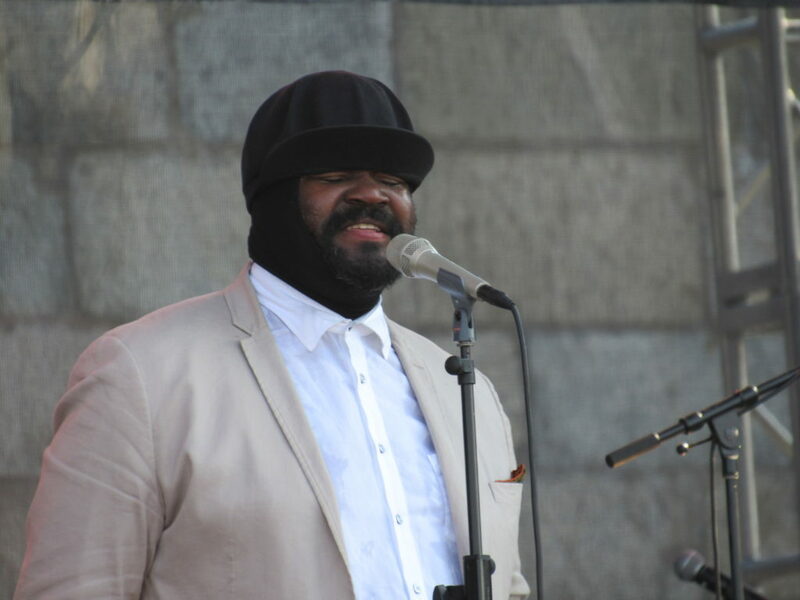 Gregory Porter@ the Fort Stage A phenomenal vocalist, this two time Grammy award winner brings great energy and music to the stage! His range can change from a silky smooth to a soulful sound that can be compared to the late Jon Lucien, Marvin Gay and throw in a little Billy Eckstine. 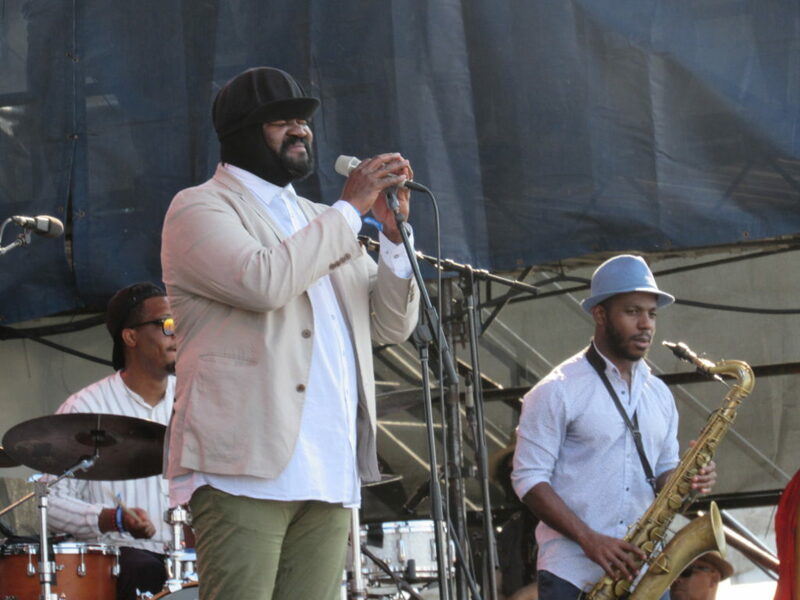 On the last day of the Newport Jazz Festival, attendees broke out into a roar when he performed his rendition of “Papa Was a Rolling Stone” and then changed up the vocals to sing Gregory Porter hits like “Holding On” and “Insanity”. The applause and the standing ovation was well deserved! Artemis@The Fort Stage Those powerful and extraordinary musicians played the finest in jazz and their performance on Sunday was outstanding at the Newport Jazz Festival! 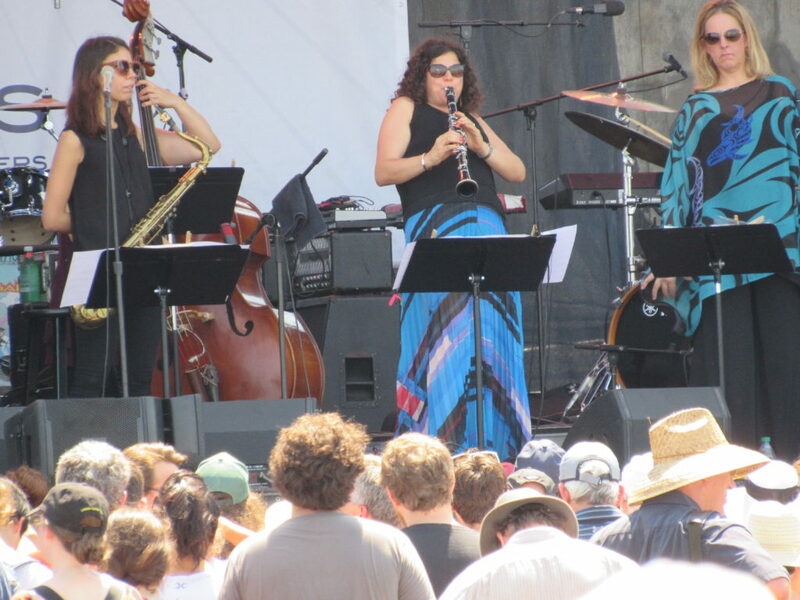 Vocalist Cécile McLorin Salvant, clarinetist Anat Cohen, bassist Noriko Ueda, tenor saxophonist Melissa Aldana, trumpeter Ingrid Jensen, and Allison Miller on drums have musical training that spans from different parts of the world which makes their performances energetic, impressive and classical. 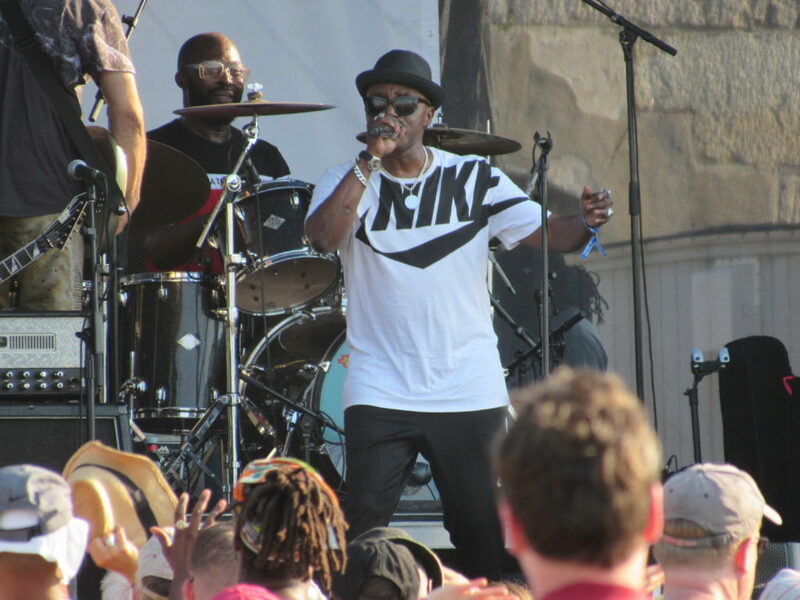 George Clinton and The Parliament Funkadelic @ The Fort Stage! 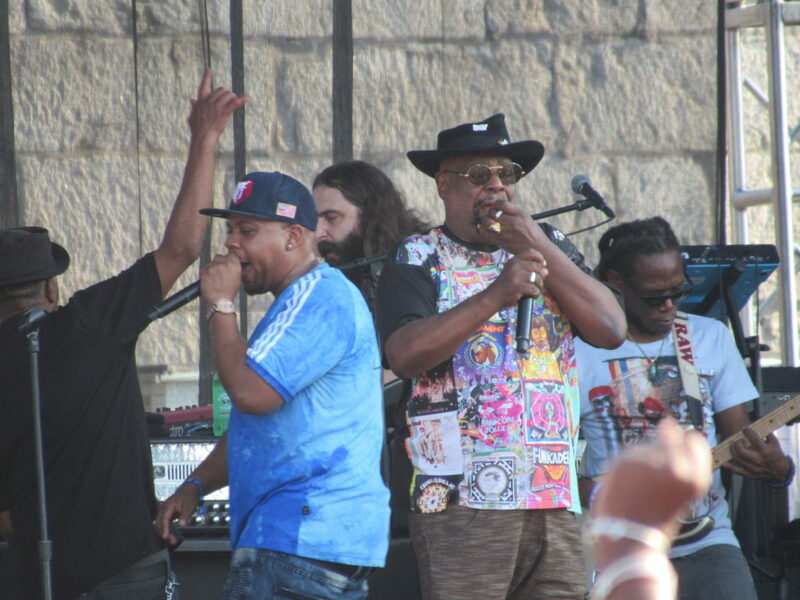 The grand finale at the Newport Jazz Festival was Mr. George Clinton and the Parliament-Funkadelic band. He bought the audience to their feet with hits like “Bring The Funk”, “Atomic Dog”, “Flashlight”, “One Nation Under Groove” and many others. “THE QUEEN OF SOUL” WAS TRUE MUSIC ROYALTY! A BACKBEAT R&B TRIBUTE!